John Lasseter, the head of Pixar and the director of Toy Story, is taking a leave of absence from Disney following recent harassment allegations that have recently been made public. None of those who have accused Lasseter of harassment chose to be named, for fear of their careers. Lasseter has released a statement about his departure and, at least for now, he's only planning to take a six-month leave of absence. Here's what he had to say in his statement. "I have always wanted our animation studios to be places where creators can explore their vision with the support and collaboration of other gifted animators and storytellers. This kind of creative culture takes constant vigilance to maintain. It's built on trust and respect, and it becomes fragile if any members of the team don't feel valued. As a leader, it's my responsibility to ensure that doesn't happen; and I now believe I have been falling short in this regard. I've recently had a number of difficult conversations that have been very painful for me. It's never easy to face your missteps, but it's the only way to learn from them. As a result, I've been giving a lot of thought to the leader I am today compared to the mentor, advocate and champion I want to be. It's been brought to my attention that I have made some of you feel disrespected or uncomfortable. That was never my intent. Collectively, you mean the world to me, and I deeply apologize if I have let you down. I especially want to apologize to anyone who has ever been on the receiving end of an unwanted hug or any other gesture they felt crossed the line in any way, shape, or form. No matter how benign my intent, everyone has the right to set their own boundaries and have them respected." Despite his seemingly sincere tone in the statement, John Lasseter has been accused by several people of sexual misconduct. Reportedly, Rashida Jones and her writing partner Will McCormack both left Toy Story 4 over an "unwanted advance" from Lasseter. This was reportedly not an isolated incident, as the hugely influential head of Walt Disney Animation has shown a pattern of misconduct over the years. In Lasseter's statement, he says that he hopes his six-month absence will be able to set things straight, but as these allegations continue to surface, it seems less likely that he'll ultimately return to his position. "In my conversations with Disney, we are united in our commitment to always treat any concerns you have with the seriousness they deserve, and to address them in an appropriate manner. We also share a desire to reinforce the vibrant, respectful culture that has been the foundation of our studios' success since the beginning. And we agree the first step in that direction is for me to take some time away to reflect on how to move forward from here. As hard as it is for me to step away from a job I am so passionate about and a team I hold in the highest regard, not just as artists but as people, I know it's the best thing for all of us right now. My hope is that a six-month sabbatical will give me the opportunity to start taking better care of myself, to recharge and be inspired, and ultimately return with the insight and perspective I need to be the leader you deserve. I'm immensely proud of this team, and I know you will continue to wow the world in my absence. I wish you all a wonderful holiday season and look forward to working together again in the new year." John Lasseter has been an incredibly influential figure in animation and with Disney over the years. Lasseter is one of the key figures who helped make Pixar what it is and, as a director, he brought the Mouse House to Best Picture Oscars. In total, Pixar has won eight Best Picture Oscars and that is in no small part thanks to Lasseter's contributions. However, These allegations show that the figure in the Hawaiian shirt that Disney fans know and love, or loved at this point, is much more complex. 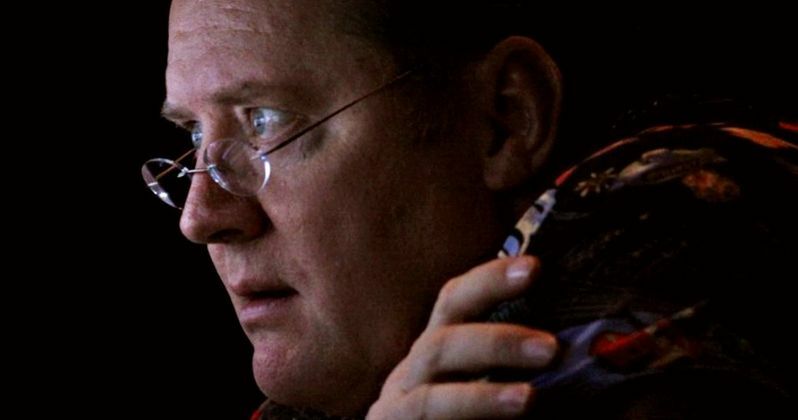 Here's some of what was revealed in a new report detailed the harassment allegations made against Lasseter. "One longtime Pixar employee says Lasseter, who is well-known for hugging employees and others in the entertainment community, was also known by insiders for 'grabbing, kissing, making comments about physical attributes.' Multiple sources say Lasseter is known to drink heavily at company social events such as premiere parties but this source says the behavior was not always confined to such settings." These incidents were so common with John Lasseter that some women who worked with him had a move called "the Lasseter" to prevent their boss from putting his hands on their legs. Many women would also turn their heads to avoid getting kisses from him. A source also discussed a strangely cropped photo of Lasseter between two women that had to be cropped because of "where his hands were." The source also detailed this encounter that was witnessed between Lasseter and an unnamed woman. "She was bent over and [had her arm] across her thigh. The best I can describe it is as a defensive posture ... John had his hand on her knee, though, moving around...She said it was unfortunate for her to wear a skirt that day and if she didn't have her hand on her own right leg, his hand would have travelled." Disney is one of the biggest names in entertainment on the planet and Pixar is one of their biggest brands. As important as John Lasseter is to Pixar, they're going to need to distance themselves from him in the wake of these allegations. Disney had this to say in a statement regarding Lasseter's leave of absence. "We are committed to maintaining an environment in which all employees are respected and empowered to do their best work. We appreciate John's candor and sincere apology and fully support his sabbatical." Even though Disney "supports" the leave of absence, some have called into question the way in which the company is handling the situation. Speaking to The Hollywood Reporter, an unnamed former Pixar employee says that it's "Ridiculous ... to sum this up as unwanted hugs is belittling and demeaning. It if was just unwanted hugs, he won't be stepping down." The same source also says that Disney is "trivializing this behavior." This is just the latest, shocking reveal to come in the wake of the Harvey Weinstein scandal, which has sent a continuing shockwave throughout Hollywood. We'll be sure to keep you up to date as more details on the situation are made available.